Whether you are a current Skype user or you are just about to step into the Skype world, you may have already experienced or heard a lot of complaints about not being about to get Skype to function smoothly during the calls. In the blog: Improve Skype for Business Audio/Video Quality, we discussed the top factors that affect your Skype call quality. 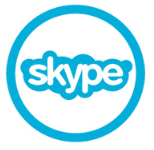 Choosing an ideal Skype-optimized phone is the first step to building a satisfactory Skype call experience. Here we highlight the best Skype ready phones at VoIP Supply that will take your communication to the next level! What are the Best Skype Ready Phones? The Grandstream GXV 3240 is one of the most popular Skype phones that is designed for all size companies and Android smartphone users. It is a 6-line multimedia Gigabit VoIP video phone that comes with a 3-way video conferencing, a tiltable CMOS camera and HD audio/ voice. 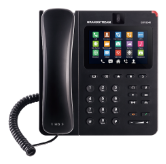 Combined the functionality of a multimedia platform with a 6-line video phone for an all-in-one voice, video, data, and mobility solution, the Grandstream GXV 3240 is the most powerful solution for users connecting from different channels. If you are looking for a solution that allows you to set up multi-party calls easily and quality, the Konftel 300 Conference Phone will fit in just right. With the Konftel 300, you can easily combine or switch between connections to analog lines, mobile phones, or PCs at the drop of a hat. Covering an area of up to 323 feet (or 10 people), the Konftel 300 also enables wireless headsets and external loudspeakers/ microphones connection to ensure that you hear and are being heard loud and clear. The Polycom VVX 500 MS Skype for Business Edition is another great choice for people who are searching for a dependable, multi-tasking business media phone that can keep you up with your busy work schedule. 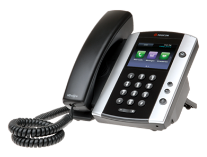 The Polycom VVX 500 is a Lync-licensed 12 SIP line IP phone with HD Voice featuring a 3.5 inch TFT color touchscreen, 2 USB 2.0 ports for multiple media uses and storage applications. Users benefit from useful functionalities such as managing exchange calendars and contacts on the phone, meeting reminders and extend PC desktop to include the VVX 500’s phone screen to increase work efficiency.